Over many years of business Glenn Bolton (founder of GST) discovered that there are a number of key business factors that control whether a business will win or lose. Glenn calls them the Seven Pillars of Business. Just like a chair needing at least 3 strong legs to stay upright, a business requires seven sturdy business pillars to stay viable. Use these seven pillars to assess whether to buy stocks and shares or whether you want to become an employee or investor in someone else’s company. Even though there are more than 30 key factors that can influence a business, they can be collected into just Seven Business Pillars. Imagine a wagon wheel with 7 spokes. Which spoke is the most important one? All of them are as important as each other, right? If any ONE spoke fails the whole wheel will collapse. Picture, in your mind, that wheel rolling down a smooth road. It rolls easily doesn’t it? There is minimal stress upon each spoke, isn’t there? Now… picture that same wheel rolling down a rough and rocky road. Each stone on the road imparts a stress upon the wheel, but that stress is accentuated at the spoke closest to the ground, isn’t it? What do you think happens when the extra stress of the wheel rolling over the rock exceeds the strength of the spoke supporting the wheel? The spoke fractures and the wheel collapses. If any spoke is weak for ANY reason then it only needs to meet a small stress (rock) to break the wheel. The Seven Pillars should be used when analyzing ANY business or opportunity, whether it be a direct sales or network marketing company or even getting a job at the local pizza parlour. The strength of your business (the wagon wheel) relies upon the strengths of each individual business pillars (wheel spokes). Maximizing the strength or resilience of each individual pillar strengthens your whole business. Therefore only ONE weak pillar can bring down a whole business. It does not matter which one! A set of strong pillars (spokes) makes for a resilient business (wheel) that will roll easily even with applied stresses (rocks). Don’t Choose a Business With Weak Pillars! The Seven Pillars are MANDATORY and all must rate at least 7 /10 otherwise the company or system will eventually fail. It just might take a while to find out. Then, if the business meets ALL these pillars, commit wholeheartedly! It doesn’t matter what business or investment you are looking at… it all comes down to analyzing a few key factors. The higher each of these factors rate with you, plus the combination of them all, then the better your potential for financial, social and emotional profit. Trends – Will you be ahead or behind the trends? Timing – Are you early or late in the product & industry life cycle? Industry – Is the business’ industry expanding or contracting? Demand – How big is the market for their products & services? Popularity – Are their products & services fashionable or a requirement? Products – Do they provide value for money to the end user? Services – Are they what people want or need? Value – Are people prepared to pay full retail? Uniqueness – Does the company have any exclusivity or patents etc? Longevity – How long could the products last in the market? Future – Are there more products “in the pipeline”? Competition – Who else are you marketing against? Company – How long have they been in business? Management – Who’s running the company? Check their track record. Legality – Does the company trade legally in all aspects? Ownership – Is the company private or publicly listed on a Stock Market? Globalization – Does the company market worldwide or only local? Internet – Do they have a strong Internet presence? Compensation – How much can you earn? Profitability – Are there good profit margins? Leverage – Do you have to do it all or can you multiply your efforts? Fairness – Are the rewards fair for all levels of commitment? ROI – How soon can you return your initial investment? Commitment – What time or money is required from you? Spare-Time – Can occasional effort make supplementary cash? Part-Time – What if you applied myself for only a few hours per week? Full-Time – How long will it take to replace your current income? Limitations – Is your income potential limited or unlimited? Payment – How and when do you get paid? People – Who is there to help when you need it? Progression – Are there any graded recognitions? Incognito – Can you do it without standing out? Holidays – Will you be offered free special events? Bonuses – Are there any special gifts for exemplary work? Lifestyle – Will you be able to live the lifestyle I planned? Training – How much is available? Method – How, when, where, what, who? Meetings – Can you do it online or do you have to attend meetings? Savvy – Are there multiple ways to get the most from the system? Simplicity – What do you need to learn to get started? Tools – Are you supplied with business tools to make your life easier? Effectiveness – How effective is their marketing? 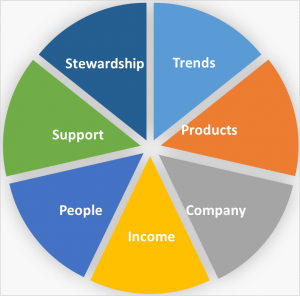 Stewardship – Does the company give back or contribute to a cause? Environmental – Does the company and participants consider environmental impacts? Ecological – Is the company “green” and promote this as policy? Equality – Does the company have a policy of “All people are equal”? Charity – Can you make direct contributions? How Did Your Business Rate? Rate the business, opportunity or investment you are involved with, or investigating, using the factors that you see here. Do “all the ducks line up”? If so then you’re on a winner! If not then when will it collapse? If YOU want to be on winner then… after your analysis we believe you will want to join us in OUR business. Contact the person who got you to look at this site and ask them to get you started right a way. We will commit to show you how you can start earning a serious income in a matter of days or weeks, not months or years!